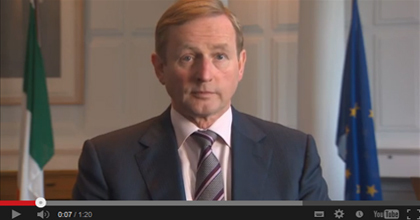 An Taoiseach Enda Kenny has given Ireland’s business tourism sector an extra push this week with the meeting of the G8 in Ireland by appearing in a promotional video outlining Ireland’s strengths as a meeting, conference and Incentive (MICE) destination. 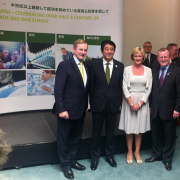 With the worlds leaders gathered for their G8 meeting in Fermanagh, our own leader has taken the opportunity to remind the business community of the exceptional destination that Ireland is for business tourism. It’s a shout out to the international business tourism community of the unrivalled communications, infrastructure and conference staging credentials that we have to offer. And who better to lead the way in being an Ambassador for business than our own Leader. You can watch the video below or on the Meet in Ireland website here.